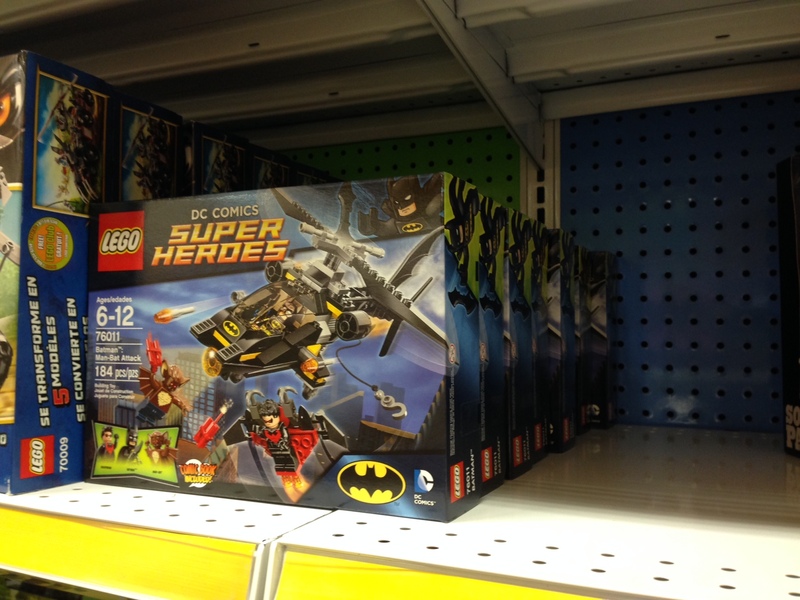 The new Man-Bat Attack set is now available online at TRU. It is also part of the BOGO50% sale. Just placed an order and wanted to pass along the heads-up. Ship to home was available a few minutes ago when I ordered. The monkey #31019 is out too and Red Thunder #31013 which I really like. #31020 twin blade adventures etc. Got my order confirmation from TRU letting me know there is a delay in shipping my sets. The message goes on to assure me that the order is not cancelled and my item(s) will ship once they become available. I checked their website again and the sets are no longer available for ship to home. ^ got the same thing. wonder if that's a brief delay, or if that means January? Did you encounter that at check-out (i.e., register said street date of Jan 1)? Did you see any others there? By others, I meant other new Super Hero sets. If so, which ones? I saw the Batman: Man Bat Attacks in Walmart today...scanned price was $19.97...had to see associate for pricing. Were you able to purchase it? I didn't...but I'm assuming...it was on the shelve. There was one employee in the toy department opening boxes and running around putting stuff on shelves. I price scanned but said "see associate". There happened to be a store manager right there walking around scanning stuff and he gave me all the prices. So I'm assuming if I walked up to the register it'd give me a price to buy it. ^ There's a street date of Jan. 1 on these. At TRU the registers won't allow the sets to ring up and you need a manager to override it. None of the retailers are supposed to sell these sets until Jan. 1. I was just curious if the registers worked the same way at Walmart. My order with ToysRUs.com for this set is still in limbo. I may have to make a run out tomorrow to check some stores. Thanks. They must have changed the policy, as I was able to purchase this from a TRU without issue at the register. Works with BOGO as well - although I think MSRP is $20 on this set. Yup, man bat fully stocked up and selling tonight. i cancelled my toy r us order, was at walmart shopping for groceries today, and they had it. awesome! I got one this evening at my local Walmart for $19.99. I rarely pay retail but I just couldn't wait for NIGHTWING. I also found 6867 Loki's Cosmic Cube Escape for &10.